Location! Location! Location! **** BACK on the MARKET**** This is a great family home nestled in the well desired Foxcrest community. The Brookshire II floorplan offers many upgrades, special features and has spectacular beautiful rear preserve views. Several features including a custom designed 6ft fireplace, comfort of surround sound system inside & out, kitchen double ovens, heated salt water pool with special lighting feature and security system including cameras, motion window and glass break sensors. There is a downstairs master, upstairs loft area which includes separate guest bedroom and bath quarters. The community offers amenities including community pool, playground, tennis court and park. 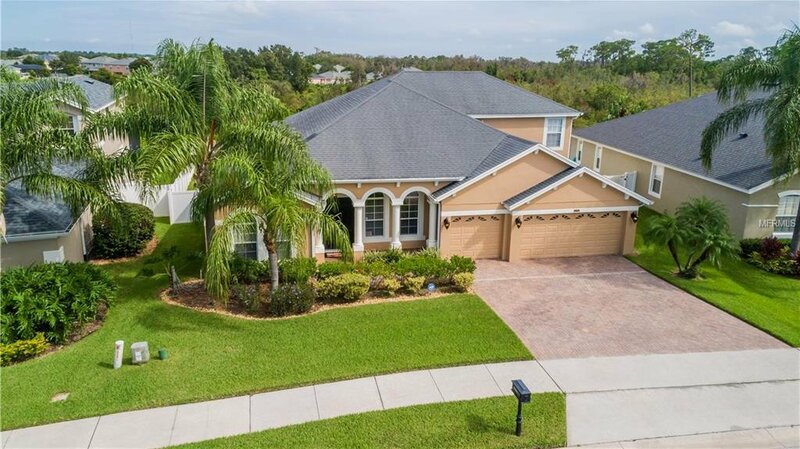 This is a Great Location close to Winter Garden Plant Street Market, Turnpike,429 and Fowler Grove Mall is a short walk. *** HOME IS PRICED BELOW RECENT APPRAISED VALUE*** This beauty won’t last!!! Listing courtesy of DIVERSIFIED REALTY HOLDINGS. Selling Office: KELLER WILLIAMS CLASSIC II.